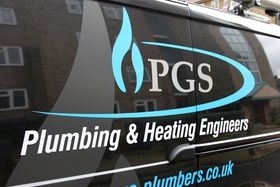 PGS Plumbers are available to issue gas safety certificates at short notice. We regularly work on behalf of landlords and are happy to liaise with tenants and fit in around their plans. We also have the capability to produce gas safety certificates in digital format and can usual have them emailed to the customer on the same day. It is a legal requirement for landlords to have all the gas appliances in a rented property safety-tested every 12 months by a Gas Safe registered engineer. Update: Gas Safe regulations are changing. Flues hidden within ceiling and wall voids now need inspection hatches to be installed. Read more about flues in voids here. You can also read more on the HSE website. Gas safety certificates cost £90 (+ VAT) for up to two appliances. Checks on additional appliances are charged at £25 (+VAT) each. Property managers and other bulk buyers should contact us to discuss discounted pricing. If you are a landlord or property manager requiring gas safety inspection services call PGS Plumbers for information and bookings.